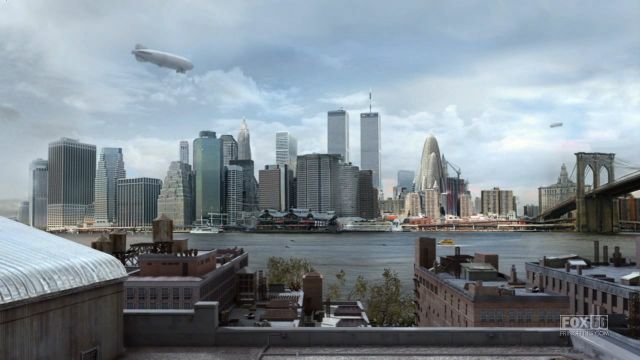 On the scifi TV show Fringe, the main plot revolved around the notion that there is an alternative universe existing side-by-side with ours where things are mostly the same, but different. Little tweaks that don’t seem like much on their own but add up to create an entirely different reality. Whereas in our universe, we discontinued the use of airships as a mode of transportation a century ago, they thrive as a means of travel in that universe. In our universe, we have North Dakota and South Dakota while they simply have the state of Dakota. Michael J. Fox replaced Eric Stoltz as the star of Back To The Future in our world while, in their world, Stoltz remained in the role and became a Hollywood icon. In that universe, you could imagine Bill Simmons hosting a show not unlike Any Given Wednesday on NESN. The regional network’s crown jewel, it’s a hit with the New England-based audience thanks to its countless region-specific sports references and the host’s unyielding devotion to the teams they support. He’s the face of the network while the show, coupled with his podcast, articles, and other on-camera appearances, make him a bonafide celebrity, even if it’s only in the northeast. In our universe, Bill Simmons has bigger vision than that. The Sports Guy, who built his own empire within the ESPN empire for more than a decade, dreamed big when he signed a three-year deal with HBO worth more than $20 million. The crux of which would be Any Given Wednesday, a weekly talk show hosted by Simmons and featuring big-name guests from the worlds of sports and entertainment. 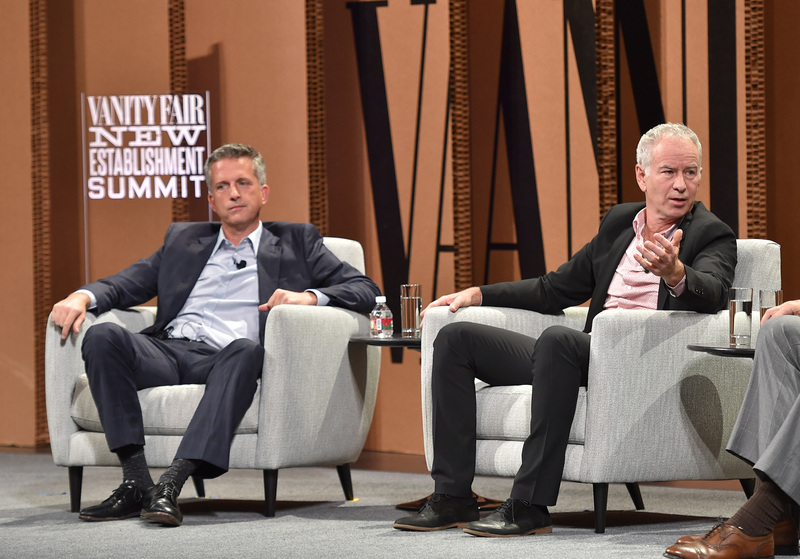 Along with the creation of The Ringer, a Grantland-esque hub for his writing and podcast endeavors, Simmons was well on his way to creating a fully-formed sports media empire in his own image. The introductory trailer for Any Given Wednesday was vintage Simmons, riffing on his own sports and pop culture beliefs that included a requisite smattering of the Boston-centric references that have long been his calling card. The show’s first (and so far only) memorable moment came in the first episode when Simmons and guest Ben Affleck sat down to discuss the Deflategate scandal. Affleck launched into a tirade full of f-bombs and a hardline defense of Tom Brady against the NFL. The Boston-bred Hollywood actor’s rant gave AGW the PR blast it needed and, even if critics were unkind to the premiere episode as a whole, at least people were talking about it. The segment has been since been viewed over 2.3 million times on YouTube alone. Now, it should be noted that this formula is one that Simmons has ridden to a fairly impressive rise. He’s parlayed a Boston-specific writing career into a more successful Boston-tangential writing career and eventually into being a Boston-adjacent sports entity with household name recognition. 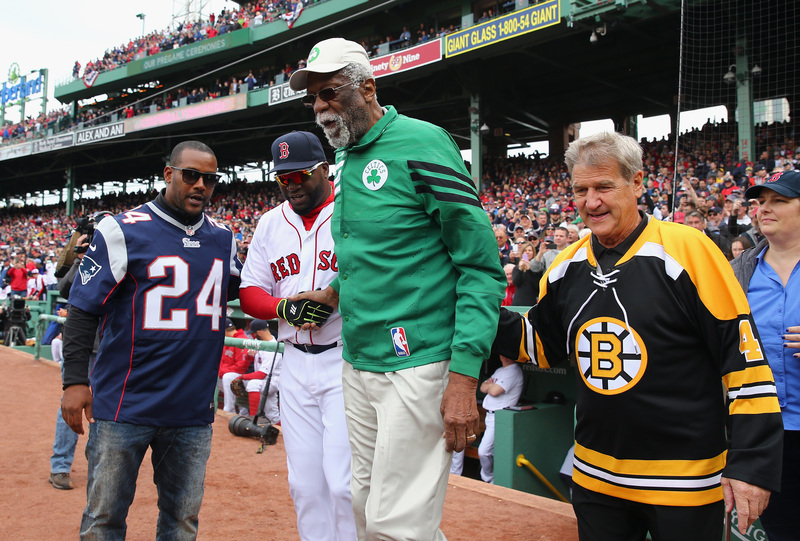 Talking about Boston sports is part of what makes Bill Simmons who he is and part of what his fans enjoy about him. It is, however, also what his detractors do not like and what turns the casual sports fan away from him, especially now that we’re in the twilight of The Great Boston Sports Renaissance. There was a brief moment in time when the nation marveled at Boston sports fans and their devotion to long-suffering teams who finally put the pieces together at the same time. That era was short-lived and the way Simmons feels about the Yankees is now how most of the country feels about the Patriots and Red Sox. Ratings for AGW’s first episode were tepid. Clearly, it wasn’t going to be an overnight success or ride a groundswell of word-of-mouth. Success was going to take work as Simmons adjusted to his role as on-camera host and the show figured out it’s footing. It also meant that his built-in audience was only so big and he would need to create interest amongst casual viewers in order to take the show to the next level. Sufficed to say, maintaining that Boston-centric focus is not the way to do that. To be fair, most of the episodes since haven’t focused on Boston news or celebrities. The second episode featured a chat with Mark Cuban and Malcolm Gladwell as well as a segment with comedian Bill Hader. The third episode brought in Joe Rogan, Anthony Anderson, and Chris Bosh. Subsequent episodes featured varied guests including Aaron Rodgers, Christina Hendricks, and Michael K. Williams. You can’t say that Simmons and AGW aren’t trying to keep it interesting and make their discussions stand out in a crowded field of sports shows and late night talk. Unfortunately for them, that crowded field has made it supremely hard for most of these interesting-but-not-special discussions to catch fire. A glance at the show’s YouTube page shows that once you get past the Ben Affleck rant, the average show segment is racking up low viewership, sometimes not breaking six figures even after a few weeks. The TV ratings follow suit as what started out tepid is now disconcerting. The show has a lot of work to do. However, it’s worth noting a specific segment that occurred during the most recent episode that really brings home the issue Simmons is facing because of his Boston obsession. First, let’s take a step back. On July 15, Tom Brady announced that he would no longer appeal his Deflategate punishment and would serve the four-game suspension doled out by the NFL. While Patriots fans used this moment to shout into the wind one last time, the rest of the nation breathed a sigh of relief. For 95 percent of sports fans out there, we were sick and tired of hearing about Deflategate, not least of all because, to us, Tom Brady is not a victim. 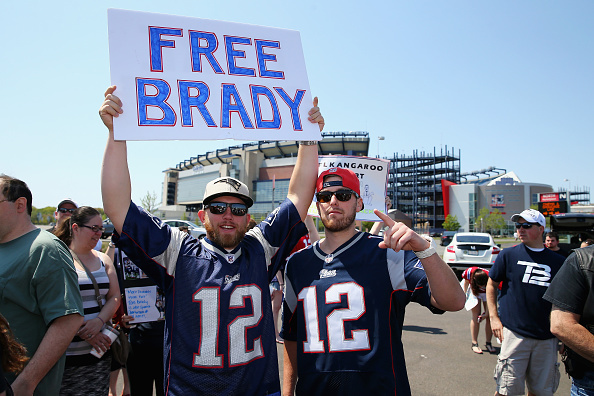 To non-Boston sports fans, there was no one worth rooting for in Deflategate. We didn’t care. We just wanted it to go away. When Deflategate started, American Sniper was No. 1 at the box office, Uptown Funk was the No. 1 song and no one thought Trump would run. Bill Simmons did not get this memo. Because he sees the world through a Boston sports filter, he’s peppered his writing, appearances, and tweets with references to Deflategate, continuing to rail against Roger Goodell and the NFL with relish. Hillary believes in science – unlike Roger Goodell and Ted Wells. This culminated in a segment on the July 27th episode when Simmons and actor/Giants fan Michael Rapaport held a mock trial to determine once and for all whether or not Tom Brady was indeed guilty of deflating footballs and deserved his punishment. It was clear from the get-go that this was a segment Simmons believed in. The show brought in Judge Joe Brown to preside over the trial. A lot of work went into making sure the set felt like a daytime courtroom TV show. Simmons argued with the gusto of someone who has been waiting months to synthesize his argument so perfectly that all anyone could do is look upon his works, ye mighty, and despair. Simmons “won” the court case (obviously) and, one would imagine, it was supposed to be a rebuke to the NFL and the masses who ever doubted the sanctity of Thomas Edward Patrick Brady, Jr.
Only…no one cared. Look at the RT and favorite numbers on that tweet (which was pinned to the top of the show’s feed for five days after). Nothing special. The YouTube video of the trial has the highest viewership of any segment from that episode but is still small potatoes in the world of viral video. Take note of those hashtags up there in the tweet. Obviously, the hope was that viewers would be so fired up about the debate, so excited to share their opinion with the world, that they’d get each one trending by the time the day was done. As of the time of writing this, not including the initial tweet, #TeamRapaport had been used in conjunction with the segment sixteen times. #TeamSimmons? Five times. That small sample size tells us two things. Most people don’t really agree, and furthermore, most people just don’t care. It’s a provincial discussion that national and casual audiences aren’t interested in having anymore. Matt Damon made the rounds last week to promote his new Jason Bourne movie and spent a sizable portion of that PR blitz talking about buddy Ben Affleck’s rant on Any Given Wednesday. Damon not only loved the passion but also thinks it was the kind of thing all Patriots fans appreciated. “Him pissed is a good thing for the New England Patriots’ faithful, we love seeing him like that,” Damon said. And that is one of the major issues with Any Given Wednesday stated aloud. Boston fans are a proud people who appreciate it when one of their own flips some chairs and get nuts in defense of their teams. Affleck’s segment was like catnip for Boston sports fans. The rest of us spent a lot of time making fun of it and rolling our eyes. Just like we did with the Deflategate mock trial. Just like we do every time Simmons tweets another Deflategate dig. Bill Simmons has a lot to think about when it comes to improving Any Given Wednesday but there’s one decision critical to the show’s future that he needs to make immediately. Does he want to live in the universe where he’s the beloved host of a late night talk show on NESN, speaking truth to the good people of Boston and becoming their dark knight? Or does he want this national show, aimed at reaching a general sports and entertainment audience, to be successful? Right now he’s handling the gig as if he lives in that other universe. Over there, the audience for Any Given Wednesday wants Ben Affleck rants and Deflategate mock trials. Over here in our universe, we want anything else.